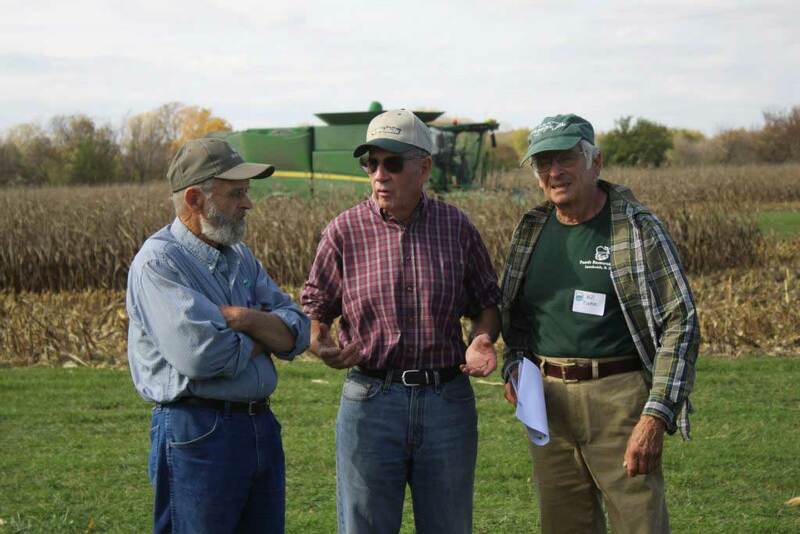 Growing Hope Globally (GHG) (formerly Foods Resource Bank (FRB)) started in 1999 when Ohio farmers Vernon and Carol Sloan invited their neighbors to help them become part of the solution to world hunger by sending corn from their fields to poor countries. When they learned the cost of shipping the grain would be nearly 15 times the cost of the grain itself and that donated grain would wreak havoc on farmers and markets, they knew they needed a different approach so they sat down with a handful of Christian organizations that fund and run food security programs to look for answers. Their solution: use proceeds from crops raised and sold in the U.S. to fund agricultural programs overseas. The Sloans didn’t know if the concept would work but they were willing to give it a try. And it did work. In 2000 there were six growing projects in the Midwest to support the first GHG program in Kenya. Today the nearly 200 growing projects across the U.S. support 52 projects in 30 countries. Since 2000 GHG has helped transform the lives of over 1,000,000 people. GHG’s goal is to find lasting solutions to hunger through agricultural development overseas in some of the world’s poorest countries. It facilitates the partnership of urban/suburban (city) churches and civic organizations with rural congregations to raise funds for sustainable food security programs in the developing world. There are currently 795 million hungry people in the world; small farmers comprise about 70% of that number. The programs GHG supports bring training and encouragement to those resource-poor rural communities so they can grow their own food, earn incomes, and can live healthy, hopeful, productive lives. In 2002, Portage UCC’s Board of Outreach initiated our involvement with GHG with the help of church member Norm Braksick, who was then GHG’s Executive Director. Portage UCC is the city church; our rural partners are a Mennonite, three United Methodist churches and a Community church. Since 2003, we have helped sponsor 28 specific GHG programs in 16 countries. Each fall we have a Kick-off Sunday to raise funds for the next year’s growing project. Every other year we have a Harvest Celebration with our rural partners to give thanks and celebrate a successful harvest. Since the first Kick-off Sunday our congregation has contributed more than $273,000 toward the yearly growing projects. This money, raised through individual pledges, helps cover costs our farm partners incur that are not donated. Our rural partners pledge their time, talent and resources to grow crops which are sold to help fund food security programs. They have raised and sold enough grain in 15 years to fund more than $1.6 million for GHG overseas programs. Our local growing project is currently funding projects in seven countries. To learn more about GHW and our current projects go to www.worldrenew.net/growinghope. Click the button below to access our secure donation page.